Founded in 2004, as a professional aluminium profiles supplier, with years of continuous efforts and development, we are actively in production and sales in extruded aluminum profiles. New factory with modern production lines was established in 2015, we have complete production lines for different surface finishing. Now we can produce and provide colour anodized aluminum profiles, powder coated aluminum profiles, wood finish extrusion aluminium, fluorocarbon coating aluminium extruded profiles and water-based painting extrusion. Products can be used in various architectural and engineering industries, like window and door, building and constructions, transportation, infrastructure, automotive, energy, and etc. Aluminium bars, aluminum tubing and aluminium extruded profiles with special alloy for engineering industry also can be produced (2A12, 2024, 5052, 6060, 6061, 6063, 6082, 7075, etc). These products are mainly used in the field of communication, electrons, high-voltage electrical apparatus, motorcycles, ships, military, aerospace, etc. 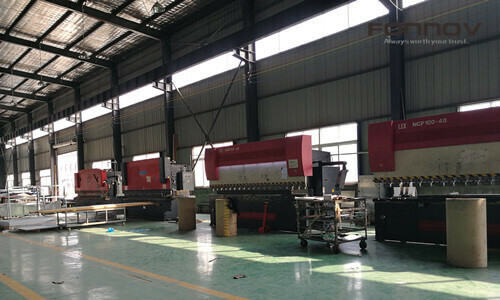 Our aluminum fabrication factory established in 2007. We can provide extra CNC machining service: bending aluminum, milling aluminum, bending aluminum tubing, cutting to a certain length, square hole punch, round hole punch, laser engraving, CNC cutting, etc. These fabricated aluminum products will be very helpful for your production and projects. 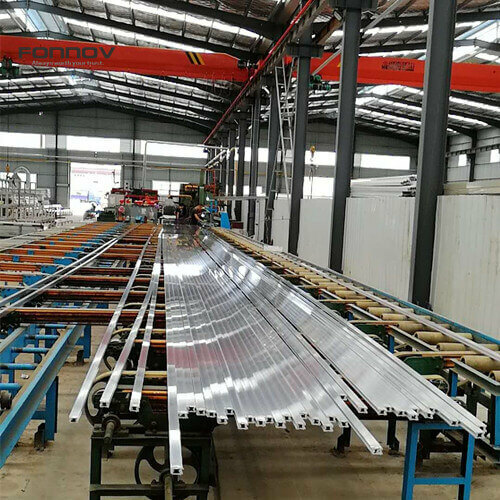 Solid Aluminum Cladding Panels and aluminium ceilings for architectural decoration also can be produced in our fabrication factory with complete production line. Adhere to the concept QUALITY FIRST, we produce strictly according to National Standard. GB/T5237-2008 for architectural application and GB/T6892-2015 for engineering application. Only accept standard pure aluminium material which meeting National Standard GB/T3190-2008, with scientific production management to ensure the stability of the production and quality. FONNOV, Always Worth Your Trust!